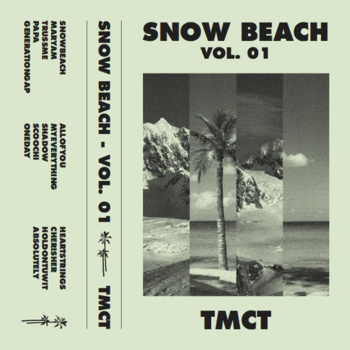 Undiscovered ’til Now: TMCT – SNOWBEACH VOL. 1 | Pulp and Circumstance, Juiced. Am loving this track “Snowbeach” in particular, but the entire record is pretty intriguing if you ask humblest. It’s a great note to start my week of work, and could be great soundtrack for you, too. TMCT, aka Tomcat, is a pretty interesting UK producer whose figured out how to use jazz preciously in his music. You can download the entire album over at his bandcamp. Enjoy my favorite track, below. Yes, yes. This entry was posted in jwolf, Undiscovered til now and tagged TMCT, tomcat. Bookmark the permalink. ← Delicious Drip: Four Tet – “I got this song Burn stuck in my head so I did a remix and Ellie DMed me and she’s into it”.